Gourmet chef's kitchen with quartz countertops, Stainless Steel appliances, pull out cabinet drawers w/ soft close, under cabinet lighting, butlers pantry, walk-in pantry. Formal dining & breakfast room. MLS#2249329. 982. 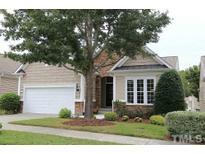 Carolina Preserve - Enjoy world class amenities and no yard work in this 55+ active community. MLS#2249347. 4772. Cotswold - Irrigation system. Oversized deck. Fantastic, fenced backyard. 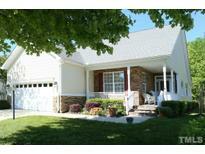 MLS#2249362. 649. Fenton Estates - Fenced backyard is perfect for entertaining! MLS#2249407. 2731. Hardwood floors just refinished, interior paint freshened up. MLS#2249584. 3051. 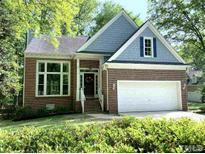 Landsdowne - Great schools & Close to everything: Airport, RTP, Hwy 55, I-540, SouthPoint Mall, Restuarants, Starbucks & MORE! MUST SEE! MLS#2248265. 3051. 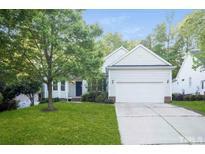 Walk to Laurel Park School & Apex community Park! Move in ready! MLS#2249610. 1649. Wellington Place - Separate Living Room with Gleaming Hardwood Flooring. Oversized Bonus Room! Must See! MLS#2249392. 1758. 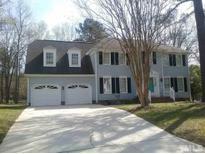 Charleston Woods - Great schools & location to RDU Airport, Research Triangle Park & Downtown MLS#2249383. 986. Greenwood Forest - The Large DECK backs to PRIVATE, WOODED Setting! PRIME Cary Location! MLS#2249304. 1710. Greenwood Forest - No HOA! Close to area parks, greenways. MLS#2249388. 1710. Don’t miss the closet/storage space & the versatility w/an open office/work space. MLS#2248321. 1710. Fenced in Raised Garden beds, and the back yard in also fenced in. Carport with additional storage. MLS#2249565. 1320. All bedrooms have direct bath access. Huge Bonus! Energy Star! MLS#2249218. 717. Lovely floorplan, open Dining Room, custom office, dwnstrs guest Room, Family Room with stone f/p & built-ins, Fab Kitchen/large center island, gas cooktop, convection microwave, 6 Bedrooms 5 bath, Theatre & bonus Rooms, fenced yard, custom patio w/38" blt in grill, screen pch MLS#2245389. 476. Green Level Crossing - Walk to private pool, tennis courts, clubhouse, park, gym. Many Smart WIFI appliances MLS#2249067. 2885. Super workbench space in 3-car garage. Lower level Bonus/Recreation MLS#2248323. 2860. Easy commute to RTP, RDU, I-540. MLS#2249265. 3270. Carpenter Village - Shopping is so super close and easy access to 540/RTP/airport! MLS#2244731. 636. Amberly - If you love the outdoors, you must check out this home! MLS#2249117. 2611. Holloway - Roof, windows, gutters and siding 2017 MLS#2249118. 2731. Carrousel Park - The master sanctuary has a vaulted ceiling, two walk-in closets, adjoining bath has glass & tile shower & seperate soaking tub. Gracious bedrooms. IT IS SWEET. MLS#2249095. 511. Stonewater - Situated at end of quiet cul-de-sac. Pool community. MLS#2248924. 649. N'hood parks and soccer field in walking distance, along w/ a pool you can join. Won't last long! MLS#2248960. 511. New ceiling fans.Screened porch For Comp Purposes Only**** MLS#2248738. 3770.